Home > Blog > Cisco Tips and Tricks > Managed vs Unmanaged Switches: Which Is Right for Your Business Network? Managed vs Unmanaged Switches: Which Is Right for Your Business Network? 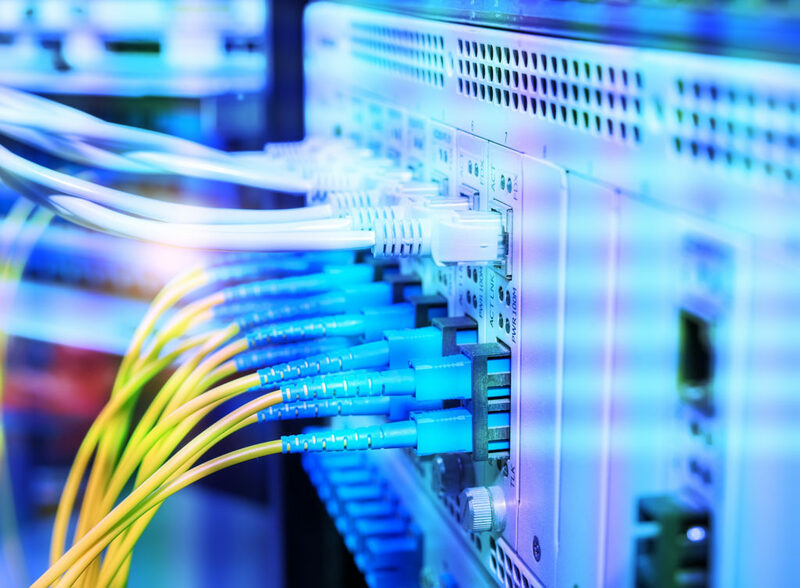 Managed vs Unmanaged Switch: Which Is Right for Your Business Network? Network switches are the heart of any network. But which you should you opt for: managed or unmanaged switches? We take a look at the benefits of a managed vs unmanaged switch and help you decide. Your network switch is the heart of your enterprise network. Choosing a well-performing and suitable network switch is one of the most important network management tasks you’ll have at your company. The question is, which type of switch should you choose: a managed one or an unmanaged one? Here’s a rundown on the benefits of a managed vs unmanaged switch to help you to make the right decision. What Exactly Are Network Switches? A network switch is a box that connects several other devices on a LAN, or local area network, and sends data between these connections by using packet switching. A switch may contain just a few ports or as many as 50 ports depending on how many machines you need to hook up in your business location. Whether you choose a managed or an unmanaged switch ultimately depends on your unique requirements. A managed switch is akin to a virtual private server where you have to set everything up, manage your device and assume responsibility for all configurations that lead to downtime. These switches are popular because they making monitoring your network and controlling traffic easy. For instance, you can prioritize your traffic for specific ports. Two types of managed switches are available: fully managed ones and smart ones. The smart ones are limited in the number of configuration options they offer, but they are generally less expensive than the fully managed options. They are most appropriate for office and home use. Meanwhile, fully managed switches are designed for enterprises, such as small and medium-sized companies, internet cafes, labs and schools. They offer a broad range of features and tools that enable you to manage your immediate business network more effectively. As we mentioned earlier, managed switches are configurable and give you control over your LAN traffic and access. However, they also allow you to troubleshoot your network remotely. This is an extremely major benefit since your network may need attention when you’re away from the office. Another benefit of managed switches? They offer very good security. They protect your data plane, management plane, and control plane with ease. The downside of these switches? They are more expensive compared to their unmanaged counterparts. When is a Managed Switch Ideal? A managed switch is designed for the advanced user — someone who doesn’t need a device to automatically manage his or her LAN for him or her. These switches are perfect for situations where workloads are intense. They’re also recommended when traffic is high and where custom configuration is necessary. Note that even though managed switches are typically used in enterprises, businesses that are relatively small don’t necessarily need them. Instead, they need the basic functions that Ethernet switches offer. Meanwhile, big data centers or companies with complex business networks, where thousands of people are online simultaneously, are best served by managed switches. In these settings, managed switches can conveniently isolate data traffic according to various groups — for example, servers, management, backups, guests, and users. Unlike managed switches, which require input from you to work according to your wishes, unmanaged switches don’t require your input. As a result, an unmanaged switch operates at a basic level, simply allowing you to connect devices to one another. When you compare unmanaged switches with managed devices, the former may seem more brainless. That’s because they’re essentially plug-and-play devices: You simply plug a switch in and then sit back and wait for it to work. With an unmanaged switch, you don’t have configuration options or a configuration interface. Instead, you get a fixed configuration. In addition, the security isn’t the greatest. Outside of a port cover that can be locked, you don’t have much in the way of protection. However, the upside of an unmanaged switch is that it is less expensive compared with a managed one. When is an Unmanaged Switch Ideal? These types of switches are designed for beginning users rather than advanced ones. In light of this, an unmanaged switch is most suitable for a small business network, conference room, home or lab, for example. If you need just a handful of ports, using an unmanaged switch as a basic desktop switch will more than meet your need. Still, eight- or 24-port managed switches are still popular in some home or small business environments since they offer more control of the network and more privacy/security. Overall, though, many homeowners and small business owners like the simplicity that comes with unmanaged switches. Here are a couple of questions to ask yourself to determine exactly which type of switch would work best for you. Does your building need a virtual LAN? Is it necessary for your network switch to serve as a router? If your answers to these questions are “yes,” then you are an excellent candidate for a managed switch. Is it necessary for you to run 802.1x? Is it necessary for you to SNMP poll your switch? Do you pride yourself on being a network nerd? If you answered “no” to these questions, an unmanaged switch should be sufficient for you. We offer industry-leading services in purchasing used information technology equipment. If you have used or even excess Cisco, Brocade, Adtran, Foundry, HPE, Juniper or Dell equipment, we’ll gladly take them off your hands. Our customers like us for several reasons. First, we don’t lowball our customers with ridiculous offers. Instead, we offer honest and fair network equipment purchase estimates. Second, we make the process of buying your equipment easy. All you have to do is complete our convenient product submission form. Finally, we’ve been in business for more than 15 years and work with sellers across the globe. In other words, we know the industry through and through. Get in touch with us to find out more about the benefits of a managed vs unmanaged switch and determine which option would work best for your company long term.